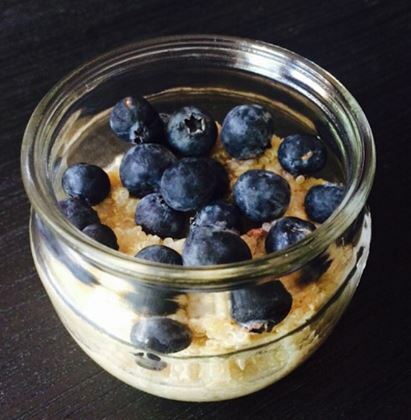 blueberries – Damn, I Can Make That! You know those days that you are just too busy for words? (Or too busy to even think about writing those words in a blog post? #shame. We know.) Well, we have a morning recipe that will help you dash out the door at a moment’s notice, without skipping the most important meal of the day. And with coconut milk – it tastes just like your much needed vacation. *This is an overnight recipe. The night before, pour your quinoa, cinnamon, and coconut milk into a small saucepan over medium/high heat. Bring to a boil. Once boiling, cover the saucepan and turn off the heat. Let it sit and cool overnight. In the morning, pour into your favorite jar and top with blueberries and/or nuts. Now, I’m not even remotely from the South, but every time I hear the word “cornbread” I feel like I have to say it with a southern accent, accentuating the “oooor”. Weird. I know. But you’re probably sitting there saying it, aren’t you? Not even in your head? Fine. But no matter how you say it, this cornbread is out of this world. 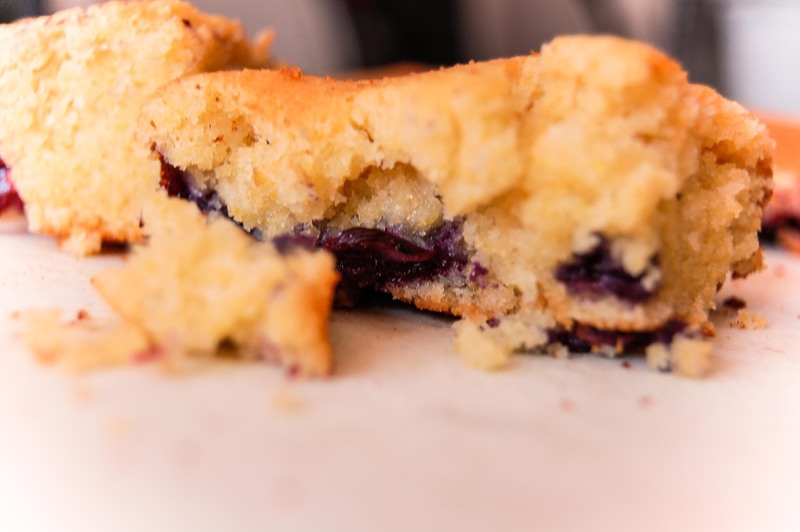 And the blueberries in this cornbread have amazing color after baking. Perfect for a ladies brunch. Big hats and all. Preheat your oven to 375 degrees. In a mixer with the paddle attachment, mix together the sugar, butter, eggs, and cornmeal. In a separate bowl, mix together the powdery items – flour, baking powder, and salt. Take 1/3 of the flour mixture and 1/2 cup of milk and pour it in to the batter. Fully mix together before repeating. (Flour, milk, mix. Flour, milk, mix. Reeeemiixx! Just kidding.) When you’re done mixing, fold in the blueberries. Grease a 15×10 pan with high sides, (or, I used two 7×7 pans) and pour in the gritty mixture. Bake for 50 minutes or until a fork comes out clean (just like cake! ).